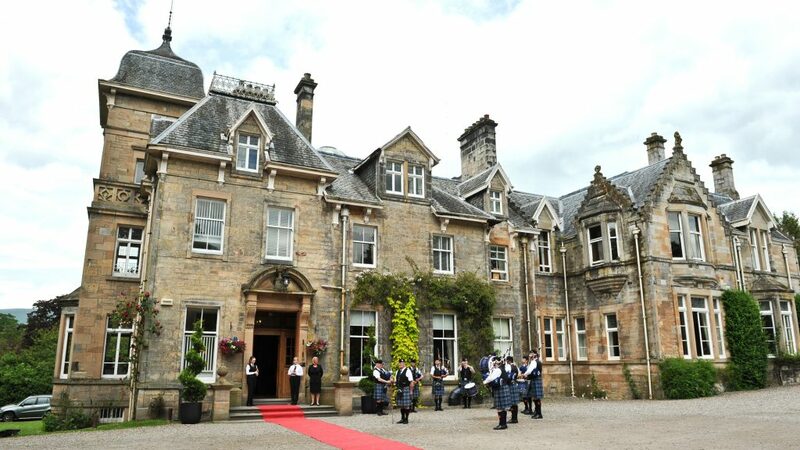 Solsgirth House, a stunning Scottish baronial country house set in 30 acres of wooded grounds and beautiful formal gardens near Dollar, is one of Scotland’s most luxurious venues and part of the award-winning Aurora Hotel Collection. It is one of Scotland’s most beautiful and magical wedding locations – whether you are looking for an intimate celebration with family and close friends, a spectacular wedding on a grand scale or something in between! Within the main house you’ll find the beautiful Ballroom perfect for up to 100 guests, with the elegant Dining Room, Library and Drawing Room providing exquisite break-out rooms.